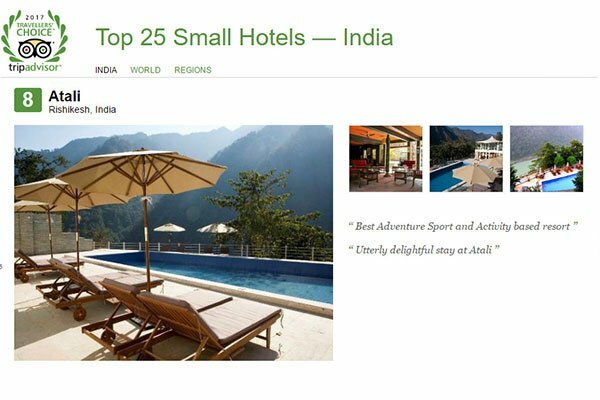 Atali Ganga has won the TripAdvisor Travellers' Choice Award from 2013-2017 and has also been featured in the list for Top 10 Hill Station Hotels & Top 25 Small Hotels In India. 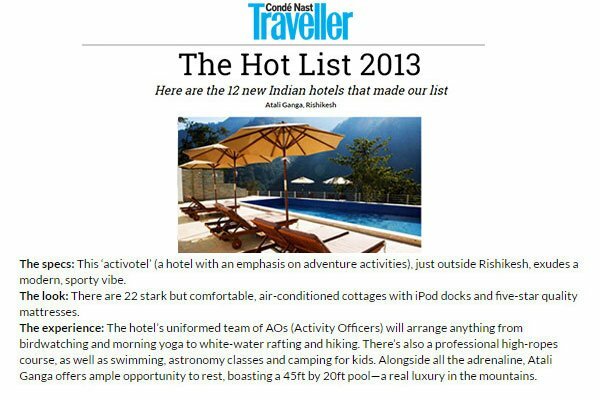 A letter from Conde Nast Traveler said. “After months of evaluating hundreds of hotels across 29 countries on various parameters like location, style, service, comfort and value, our editors picked 50 of the best new hotels across the world to create this exclusive list that includes everything from the obscure boutique to the grandest of hotels. 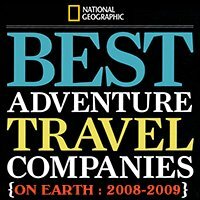 In 2008 and 2009, 2 years in a row, Aquaterra Adventures™ made it to the list of the world’s best adventure travel outfitters in the first Authoritative Rating of Adventure Tour Operators, selected in a global survey by National Geographic Society. 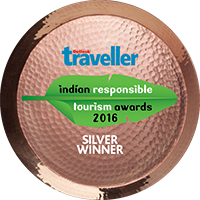 In January 2017 at the Outlook Traveller and the World Responsible Tourism Awards we won the Silver Award for the Best Responsible Tourism Property in India. Get away from the comfort of your board-rooms for senior management team-building, sales conferences, brainstorming and strategising. Go River Rafting on the Ganga, Kayaking, Wall Climbing, Mountain Biking, Hiking, Yoga, World-Class High-Ropes Course or even Camping out for a night within the property. Atali offers 22 private, comfortable and independent cottages overlooking the Ganga valley, a 60 seater restaurant – the White Water Café and even Conference facilities. One of the best names in adventure. Five star experience for every guest. Lovely place. I was here for the Himalayan adventure challenge conducted by Aquattera. Very calm n beautiful place for peace lovers. Super property and very efficient and courteous staff. Had a lovely stay. A perfect place to stay with nature. I wish I could stay here for years �. Amazing ambience. 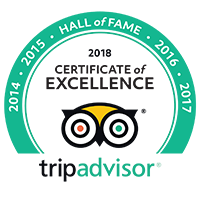 for the people, the place and the experience! Great food, helping staff, neat n clean must visit resort. Fantastic in Every Way! Go there and see for yourself!! I want to visit first & then comment ! Wonderful place ! Thanks for the excellent hospitality , Vaibhav! Our property is an oasis surrounded by Reserved Forest, and it is a thorough privilege to be so close to nature. If you book, come with the purpose of living in the valley of India’s holiest life force, the Ganga, for the call of the barking deer, or the midnight roar of the leopard ; and for that lovely dull ache after a busy day in the great outdoors. 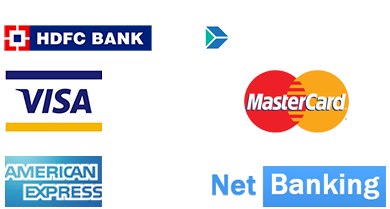 Get in touch with us to know more about our Exciting Offers.